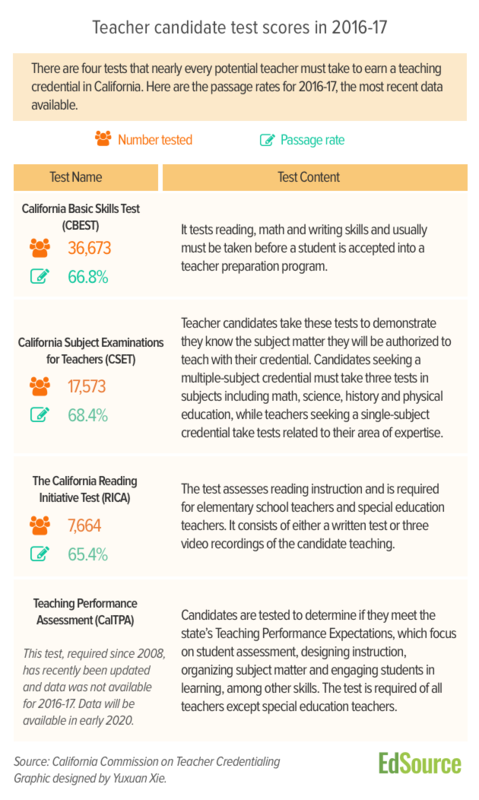 California Subject Examinations for Teachers, referred to as CSET, tests subject knowledge. 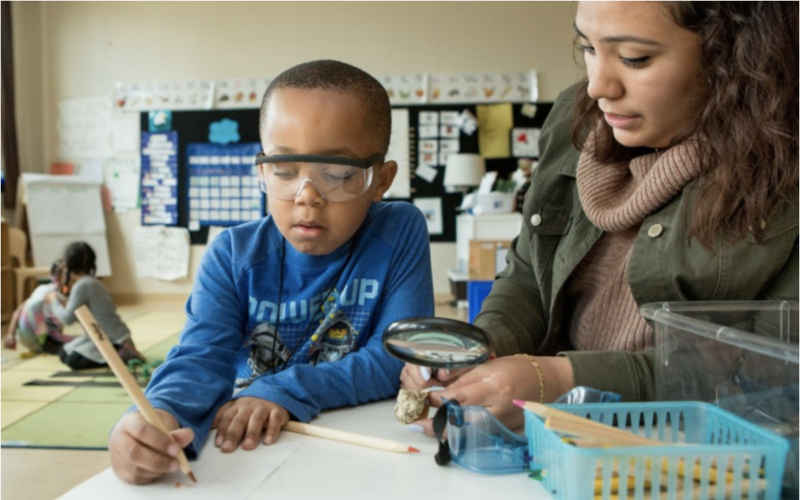 Elementary school and special education teachers earn a multiple subject credential by passing a trio of tests — in science and math; reading, language, literature, history and social science; and physical education, human development and visual and performing arts. Middle and high school teachers earn single-subject credentials in areas such as art, biology or English by passing at least one subject exam. Reforming the testing process could also mean economic relief for some teacher hopefuls, especially those who have had to take a test multiple times. Tests can cost anywhere from $99 for a single-subject exam each time it is taken to $247 for the three tests that make up the CSET: Multiple Subjects Test. The CBEST costs $41 if a paper test is taken and $61 if a test is taken by computer. Although the CSET had an overall cumulative passing rate of 80.8 percent between 2003 and 2017, the cumulative passing rates for single-subject tests varied from 96.9 percent for one in preliminary educational technology to 7.9 percent on the test for prospective teachers of English learners. The cumulative passing rate is the percentage of people who pass the test over a specific period of time, including those who take the test more than once. She works part-time as a substitute because of caretaking responsibilities at home, but Veit Gagain said she plans to return to the classroom as a full-time teacher next year.